Did you always get a new Easter outfit when you were younger?! Well don’t stop the tradition. Shop for a new fitness outfit or a new pair of shoes this Easter. It’s amazing what new gear can do to motivate you to get your move on! Most people think trainers are just for the rich and famous but most could benefit from seeing a trainer for a couple sessions to have them design a program that you can do at home on your own. Find out which exercises you should be doing based on your strengths, weaknesses, imbalances and goals. See them once every 1-2 months to make updates to your program to assure you are constantly progressing. The investment will assure a safer program and quicker results. Clear out all the temptations you have in your cupboards. Get rid of any highly processed foods that are void of any nutrient value. You’re not alone! Probably most of your friends, family and co-workers are also needing to jump-start their spring fitness program so do it together! Working out with a buddy is a lot more fun! Put purpose to your training and sign up for a run, a cycling tour or a triathlon. Training to get to the finish line is one of the best ways to get into great shape! Check out www.whyracingevents.com for a list of local, upcoming races. Music motivates and causes you to work harder. Create a playlist with your favorite tunes that will motivate you to get through your workouts when you’re not really feeling it. Variety is the spice of life so try something you’ve never done before. Maybe Zumba, Indoor Rockclimbing, Boxing, Rowing, Tennis, Swimming, Cycling, Paddle-boarding, or Hiking will get you excited and make your workouts fun! 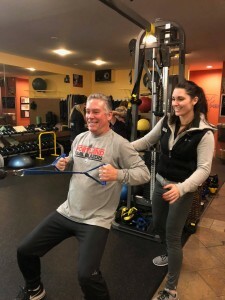 Most of us know what we need to do to get into great shape but there’s a disconnect between knowing and doing. 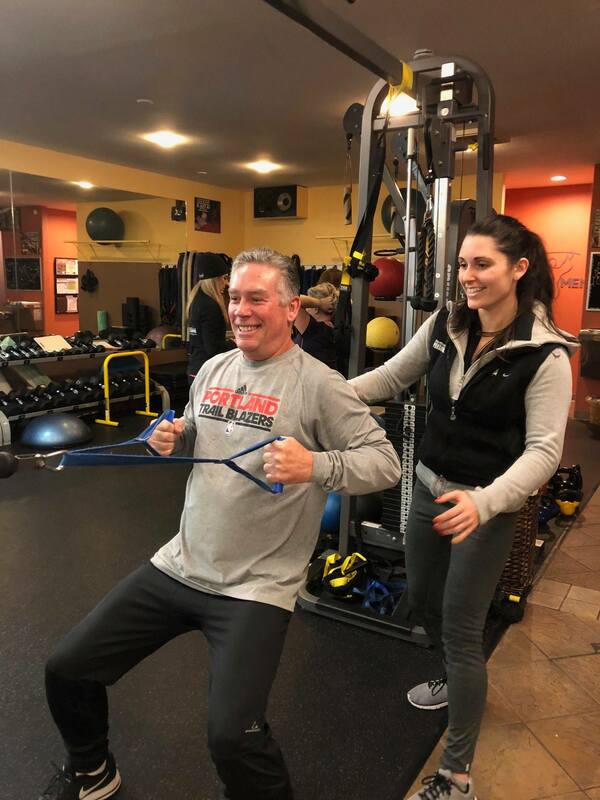 Sometimes a fun challenge or friendly competition with some co-workers or family members can be just the right amount of motivation to inspire you to ramp up your fitness routine. It could be as simple as an online challenge you invite friends to do with you. You could start a Spring Streak challenge when you challenge your friends to workout every day for the next 2 months. You could host a Weight Loss challenge and all your friends pay in and the winner gets the prize! You could also search for more structured local challenges. We are hosting our annual 6 week Spring Makeover Challenge that starts Wed April 17th. The average person loses 10 pounds and some experience much more dramatic results than that. More Info. Getting adequate sleep and managing your stress levels are critical to your overall health. Download an APP like CALM that can help you relax, meditate and manage your sleep and stress. Use it daily and make a note of the changes you experience. Spring Cleaning always feels good. This type of Spring Cleaning will feel even better! Join us for the Spring Classic Duathlon & Home Depot Half Marathon, 10K & 5K! THIS SUNDAY APRIL 14th! The Spring Classic Duathlon is a great opportunity for triathletes to shake off the winter-season rust and for the duathletes to get in an early season race. This long-running event is contested almost entirely on Marine Dr, which is closed to vehicle traffic – a rarity in the sport. You will ride and run right along the mighty Columbia River with beautiful views to make the time fly!